Former police boss Joseph Boinnet has been sworn in as a Chief Administrative Secretary in the Tourism and Wildlife ministry. At the ceremony conducted by Head of Public Service Joseph Kinyua and attended by Deputy President William Ruto, Interior Cabinet Secretary Fred Matiangi and Tourism CS Najib Balala among other senior government officials, Boinnet signed the Leadership and Integrity Code and the Accountability Pledge. President Kenyatta also witnessed the signing of the Leadership and Integrity Code and the Accountability Pledge by the new Inspector-General of Police Hillary Nzioki Mutyambai, who was sworn in at the Supreme Court. Mr. Boinnet, who handed over his office to Mr. Mutyambai said he was satisfied by the work he did in the police service, chief among them implementing reforms initiated by Mr. Kenyatta. The new police boss has pledged to continue with the reforms. Mr. Boinnet retired in March after serving a four-year non-renewable term as the police boss. Mr. Hillary Nzioki Mutyambai has this morning as well been sworn in as Kenya’s third Inspector General of Police at the Supreme Court of Kenya following his appointment by HE President Uhuru Kenyatta and successful vetting by the Senate and the National Assembly of Kenya. 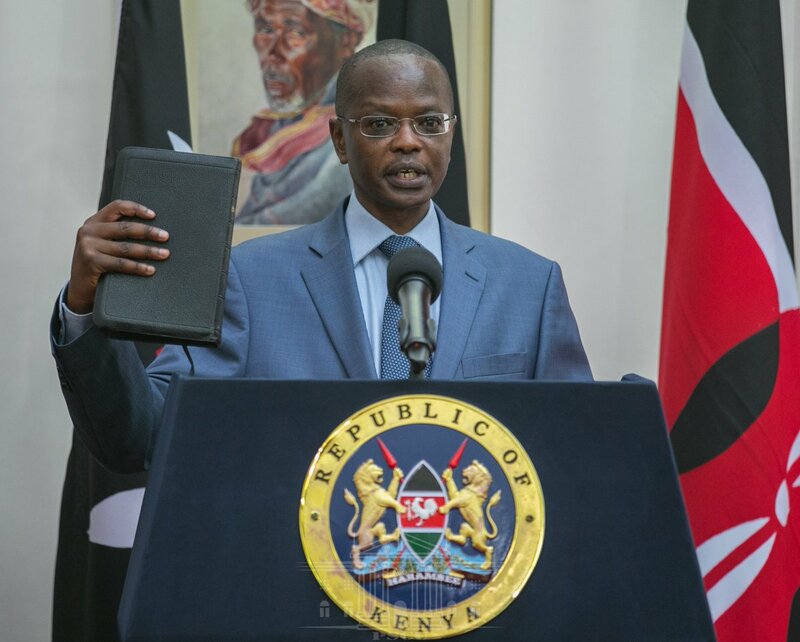 The post Former IG Boinnet takes oath as new tourism CAS appeared first on Kenya Today.